The problem is knowing what to leave out. First, there are the major figures. There are the “good guys,” such as Churchill, Roosevelt, Eisenhower, MacArthur, Montgomery, and others. There are the villains, such as Hitler and Mussolini. But you still have to explain Stalin, an evil man and the key ally to America and Britain, and the occasional good Germans. Then there are the causes of the war. The 1930s, the subject of Piers Brendan’s great book The Dark Valley, is rich with historical material. Next are the great campaigns of the war. Could one honestly talk about World War II and not describe Dunkirk, the Battle of Britain, and the campaign for North Africa? Operation Barbarossa and the subsequent Russian-German war are of great magnitude. But even all this has yet to touch on what was going on in the Far East with Japan. 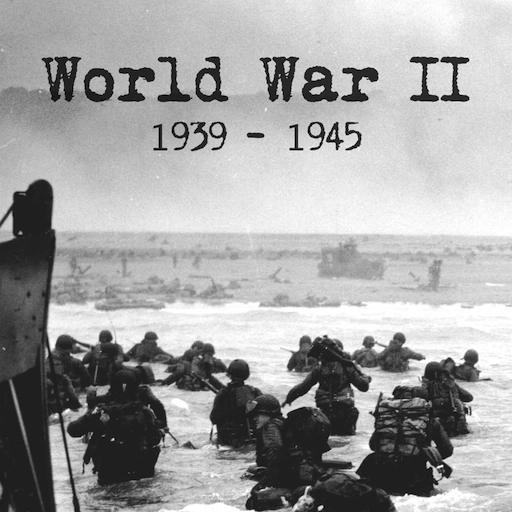 Each year, I read three or four books on the Second World War. There usually isn’t any plan or goal. I just pick one up and start reading. In terms of available good studies, I could easily read three or four dozen good books and not exhaust the subject. The University of Oklahoma Press is one of my sources for good World War II readings. This university press has a series called Campaigns and Commanders that now includes some sixty-three volumes. I have been reading and reviewing from this series for several years now. Alas, I only have 18 of the volumes, but can always dream of acquiring all of them in due time. My most recent read was The Last Cavalryman: The Life of General Lucian K. Truscott, Jr. by Harvey Ferguson. I am not surprised if you are saying, “Who is Lucian Truscott?” I was only vaguely familiar with him and would have not remembered him had I not recently read Rick Atkinson’s The Guns at Last Light. It is a shame that Americans are not familiar with this man, who was a first class general. We remember Eisenhower and Marshall, MacArthur and Patton (in part because of the movies), and Anthony McAuliffe and James Gavin (okay, maybe not these last two great generals), but not Truscott. General Truscott, as the title tells us, was trained as a cavalryman. The transition from a military dominated by infantrymen and cavalrymen to one of planes, tanks, and the ever present infantry was an abrupt change in history. As late as 1917, the American army sent the cavalry into Mexico in search of Pancho Villa. President Ronald Reagan actually trained in the cavalry when he was in the ROTC in college, which explains why he always used a cavalry saddle rather than the western–or cowboy–saddle when riding horses. Truscott’s rise is a remarkable story. Born in Texas and raised in Oklahoma, he spent his early years teaching school. Since he was not a West Pointer and was a cavalryman, one might not expect him to have achieved great things. But he was a leader. After the U.S. entered World War II, his leadership skills and ability to learn new things helped push him to the top. He was instrumental in developing the U.S. Rangers and was involved in working alongside of and learning from the British. It was actual combat command that distinguished Truscott. He was involved in every major invasion in the Mediterranean theater of the war. He was in North Africa, then Sicily, and later the hard-fought Italian campaign. In Italy, he was commanding troops at the Anzio landing and breakout. Every account I read of that invasion makes me question how it was possible that the Allies survived. It took tough commanders like Truscott. Truscott, after being promoted to Lieutenant General, during the invasion of southern France. The Normandy invasion, often known as D-Day, which took place on June 6, 1944 overshadows many other key events in the war. One such key event was the invasion of southern France that took place some months later. It was a “secondary” campaign, unless you happened to be on the frontlines in southern France. It was also one of Truscott’s greatest accomplishments. This biography is long overdue. Lucian Truscott deserves more notice than he is usually given. 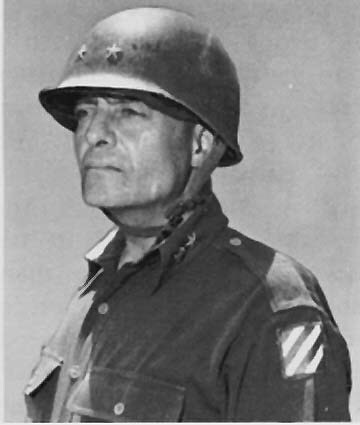 The soldier-cartoonist Bill Mauldin said this of him: “Truscott was one of the really tough generals. 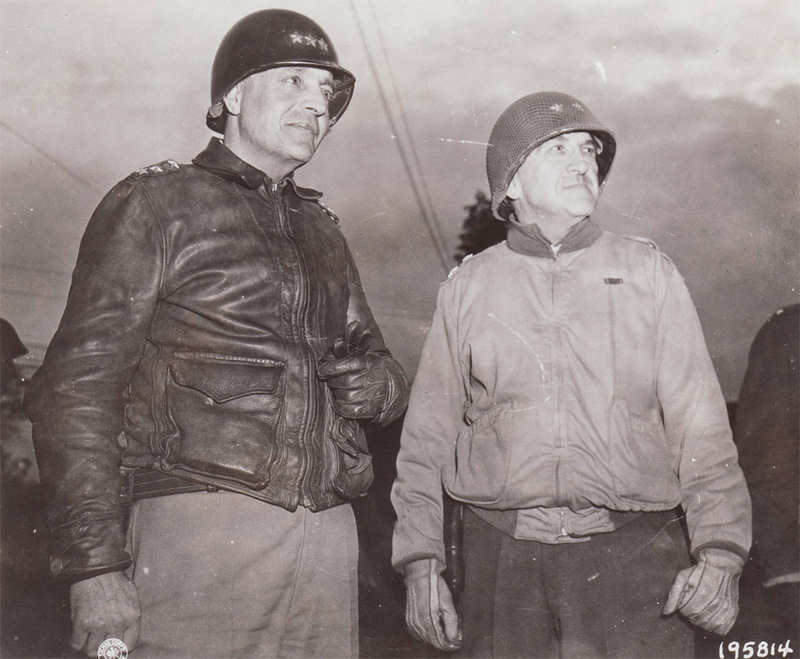 He could have eaten a ham like Patton for breakfast any morning and picked his teeth with the man’s pearl-handled pistols.” In his day, he achieved the rank of Lieutenant General (3 star) and was awarded an honorary fourth star after his retirement. In our time, we need to read biographies like this one. It fills in a gap in World War II history, but it also inspires. Truscott grew up in tough conditions and proved himself a leader in all that he did. He was a patriot, a faithful soldier, and a humble, yet strong leader. Perhaps the most amazing part of this political season is that it is not a political season. Despite debates, disputes, and constant political discussion, there have been no primaries, caucuses, or delegate selections. Yet, it has been treated as general election day is only a few months away. It seems like ancient history to recall that Ronald Reagan didn’t declare his candidacy for the Republican nomination until November of 1979, just two months before the political season began. In an even more distant past, Hubert Humphrey got the Democratic nomination in 1968 despite not having run in a single primary. From season to season, the rules change and so do the methods necessary to win. For a time, being a governor was a stepping stone to the White House. Carter, Reagan, Clinton, and Bush 2 were all governors. (So far, 3 governors have dropped out of the Republican race and 5 others are struggling.) For a time, being the Vice President was an open door to the nomination. While being Secretary of State was once a certain path to the Presidency, that faded for decades, but has emerged again. Uncertainty is the most certain of political principles. The political advisor who knows what worked in 2012 might very well need a new job in 2016. All this brings us to the current prospects within the Republican Party. The Democrats have completely abandoned their method of picking young, new candidates and are embracing an older, rerun, despite her having enough political baggage to sink a luxury liner. The Republican Party is often thought to be the conservative party, while the Democrats are the liberal party. This is over simplistic. Both parties are wide ranging coalitions. Both are parties not of a faction or interest group, but of many factions or interest groups vying for some political voice. Both are national parties and as such, both seek to fit, accommodate, give in to, and motivate 50% plus 1 of the population. It has been common in recent years to sneeringly refer to certain Republicans as RINOS, which means, Republicans In Name Only. RINO usually means that some Republican holds positions their critic disagrees with. Politicians have to decide which party they support based on local political possibilities. Until recently, anyone aspiring to political office in Arkansas had two choices. They could be a Democrat and win, or a Republican and lose. Understanding political realities is a vital ingredient in political success. Both conservatism and liberalism are relative terms, like tall and short. John F. Kennedy and Lyndon Johnson were both liberals, but JFK’s tax policies and LBJ’s tight budget of 1965 put both to the right of many conservatives today. George McGovern ran the flagship campaign of liberalism in 1972, and his foreign policy views were more similar to the Paul family than to the Clintons (who both worked for McGovern in their younger days). William F. Buckley, Jr. and Ronald Reagan were the two most important and successful conservatives of the 1980s. It is hard to imagine either one of them without the other. Yet, prior to Reagan’s successful run for the presidency, he and Buckley publicly debated and strongly disagreed over the issue of the Panama Canal. Although Reagan championed the U. S. control of the canal zone, after he was elected, he did not change the course that had been set by his predecessor in office. Ronald Reagan is an amazing case study in so many ways. He defines conservative success in office, yet he was a working politician who could weave, stall, compromise, or completely reverse positions in order to govern. He would be the bull’s eye target for opponents of RINOS were he currently an ex-governor of a liberal state seeking the Republican nomination. To better illustrate the complicated maze of politics, let us venture into an extended and imaginary example. I live in Texarkana, Arkansas, which is a twin city with Texarkana, Texas. The total population is somewhat over sixty-six thousand people. Being a part of the Bible belt south, we have lots of churches in our town. Most people around here are somewhat theologically conservative evangelical types. What if Texarkana had to elect a single pastor to be over all the flock? What if all the members of churches that profess or claim to be Christian had to vote on one person to be our city’s leader? We have quite a few large churches and even more small ones, but no one church has a majority. To have a ballot with all the pastors’ names would yield no results. I go to a small church that is Presbyterian and Reformed, so our votes would be lost in the maze. But even the pastors of large Southern Baptist churches would fall far short of a majority. We would have to form a coalition of like-minded voters prior to the election. Who do we seek as allies? Presbyterians are few in number and most of them are not Reformed in theology. Quite a few Baptists are in agreement with my theology even down to the Five Points of Calvinism, but differences aside, a Baptist and Reformed Presbyterian faction is still a minority. There are lots of Christians who are in basic agreement with doctrines, whether termed Fundamentalist or Evangelical, with whom I agree on most essential matters. The political reality is that to win, someone will have to be chosen with whom I will disagree on church government, eschatology, baptism, and perhaps spiritual gifts. The other alternative, or the other party in this case, might very well be running a female pastor candidate who denies essential doctrines of the faith. Am I totally happy with these choices? Most likely not. In the case of church life, Protestant splintering is a fine art, practiced ceaselessly. Like it or not, that is a reality within church life. Like it or not, in actual politics, it doesn’t work. I think the winning party in Texarkana would probably run a theologically conservative, but affable, Southern Baptist for our city pastor. The assistant pastor, corresponding to the office of Vice President, would likely be a charismatic. Hopefully, a person of Reformed persuasion might get to be on the ministerial staff, but would not be appointed as music director. Now back to actual politics (although church life itself is highly political). In a sense, there is no such thing as a conservative. There are conservatives–plural. Some are conservative on economic matters (with no uniformity on what that means), some on foreign policy(with no uniformity on what that means), some on moral issues (with no uniformity on what that means), some on political philosophy(ditto), and some on purely pragmatic grounds (since conservatism–whatever it means–does work). The same could be said of liberals. We conservative agree in quite a few areas, but disagree where our conservative principles conflict with others. If someone wants to hold conservative principles without any variation, he or she should write for a conservative publication. Once the conservative runs for office with the goal of winning, compromise and moderation is necessary. Strict adherence to the gold standard is not a winning issue. Whether it should be or not is a matter for debate somewhere other than in the election cycle. Conclusion: This very unoriginal political maxim is worth holding to: Conservative people should support the most conservative candidate who can truly win.